Wolves face possibly their biggest challenge tonight, playing away at Manchester City's Etihad Stadium. They will be hoping to achieve at least another point following the 1 - 1 draw at Molineux early in the season, whilst City will be hoping to close the gap with Liverpool at the top. Nuno Espirito Santo takes his team to face the defending Champions who are currently lying second in the League. Wolves will be trying to maintain their habit of taking points from Top Six teams, but will also be mindful of just how good City can be, having won their last league game at home aginst Liverpool, plus the annihalation of Rotherham and Burton in the Cups. Edited 1 time(s). Last edit at 2019:01:29:11:02:13 by Cheshire wolf. For the first time this season, I am expecting absolutely nothing this evening. Still hope, of course, however the kind of form Manchester City have been displaying since their recent slight blip gives me more than just a slight cause for concern. It’ll be intriguing to watch, if nothing else, and I wonder if we will be able to employ our usual get at them on the counter attack tactics? Enjoy the match, UTW as always!! I’ll be down the pub. That's the line-up I would have gone for. Fingers crossed that we can give a good account of ourselves. Would have been difficult enough with eleven players on the field, bit of a lost cause now I think. Oh to have Leroy Sane on our side!!! Sterling falls over Bennett and gets his penalty, converted by Jesus. These effing commentators are getting on my nerves with their City worship!! Edited 1 time(s). Last edit at 2019:01:14:20:45:17 by Cheshire wolf. Half time and Wolves are 2 - 0 down and down to ten men after Willy Boly saw red for an unnecessarily risky tackle. The fans who are commentating thought Sterling was definitely fouled for a penalty but I don't agree. Nevertheless it was converted by Jesus for his second. It's crazy to see the City bench containing De Bruyne, Aguero, Delph & Mahrez!! I usually quite appreciate the skill Ciry show, but watching this I just hope L'pool hold on to the lead for the PL title!! I agree Cheshire about the penalty, very soft indeed! Sane presented with a great chance and makes a @#$%& of himself!! Rui blocks Sane well, then whistle for offside sounds. Saiss replaces Jota - probably to save him for Saturday. David a Silva replaced by Kevin DeBruyne. No problem then!! Whats the story with all the empty seats! Grave goalkeeping by Rui to deny Sterling. Wolves just about coping with a City pressure at present. 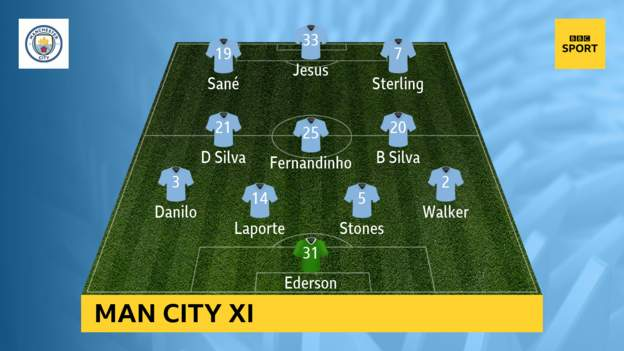 Now Aguero replaces Gabriel Jesus. Thankfully that's the last of the big guns they can bring on!!! MGW should have made Anderson look a proper idiot then but failed! Traore earns us a corner!! Corner comes to nothing. Three minutes added time to play. At last the commentators are saying something positive about Wolves!! A disappointing night for Wolves which saw our first red card of the season for Willy Boly which I thought was made worse by the City players than it actually was. City are a quality team but they irritate me to death for some reason, possibly their smugness!! I though we showed great character... a lot of teams would have buckled and got hammered 6 or 7 nil. What a bloody non-event. Sometimes you get these matches and they are thoroughly deflating by the lack of a competition, however it was such a non-event nothing can be drawn upon in either positive or negative. I felt we showed too much respect to start with, however even though the Doc and Coady were napping, their first goal was exceptionally good. Class I’d say. The sending off changed things completely. I thought it was a dreadful decision. Absolutely dreadful. The ref was miles away to make the decision and badly positioned for a tackle that ultimately Boly played the ball. Yes, he got the man afterwards, however there was no intent and in my opinion no malice or lack of control to warrant a red. What is football becoming if that is a red? Coming on to the penalty, well I thought Bennett gave the ref another decision to make and on this occasion I didn’t disagree despite Sterling’s propensity to fall over. The own goal did hit Coady but after a deflection from Saiss. A shame that. So apart from the first 10 minutes I dont think there is a great deal to complain about our team. To me, given the circumstances, I thought they did well but must acknowledge the best side won. Had Boly stayed on, then it would have been easier to judge an overall performance. 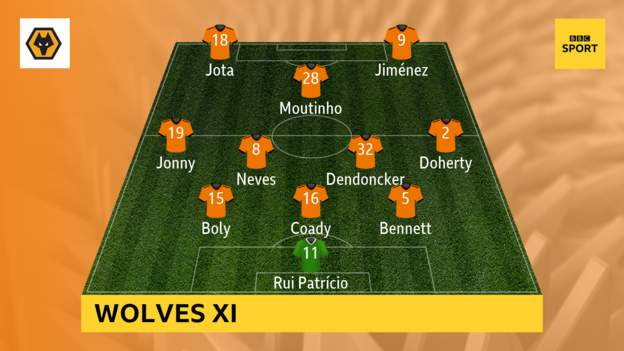 Patricio, Jota, Dendonker, Jonny, Neves and Traore - all good for me. The subs were surely made with more than half an eye on Leicester. That’s the match we must now go out and expunge the memory of this side show in our premier league season! I’ll be there too! How many times do we hear about "it can be harder playing against 10 men". We only had 1 shot in the whole game and that was off target. The game was lost when Boly got sent off but as usual there was no plan B. That's what worries me about Nuno's "we won't change" attitude. TBH I don't think we've looked a very good side all season,I think we are just still riding high on the tails of last season. Wake me up in a couple of years when we've made a few better signings as I don't think the majority of the team aren't anywhere near capable of delivering what Fosun are aiming for. Trust me I am enjoying it so far, it's great to be a Wolves fan right now, but I look to the future. Maybe that's Fosuns fault.????? Edited 2 time(s). Last edit at 2019:01:14:23:37:57 by Ian.PershoreWolf. I agree it was a bit of a non-event from our point of view and judging by the lack of support City got from their fans, I would think it was a non-event for them as well. Challenging for the title and support like that? Rubbish! With the rules as they are these days, I suppose the sending off was right but it is the rule which is the problem. It will be a @#$%& non-contact sport soon. As Carragher said, ten years ago it wouldn't have been a foul. If that rule was in place when I used to play I would have been sent off once a fortnight. On a positive note, I thought Dendoncker did well when switched to the defence and if Nuno plays him there while Boly is out I don't see a problem. Undoubtedly words which will come back to kick me in the sack.